Formulated for consistent and relable service, gel after gel, and great pricing too! REA-31025 Agarose: high melt/high resolution for resolution of small fragments; 25g bottle. 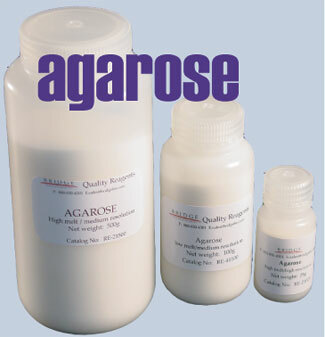 REA-31100 Agarose: high melt/high resolution for resolution of small fragments; 100g bottle.